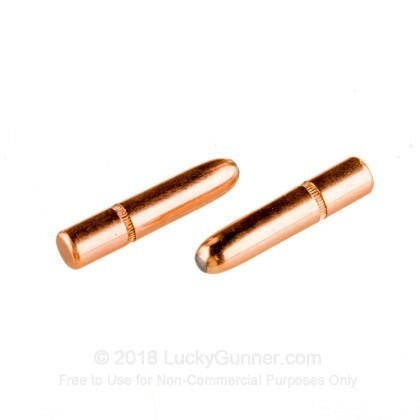 These 6.5mm diameter projectiles are perfect for hunters who like to handcraft their own ammunition. 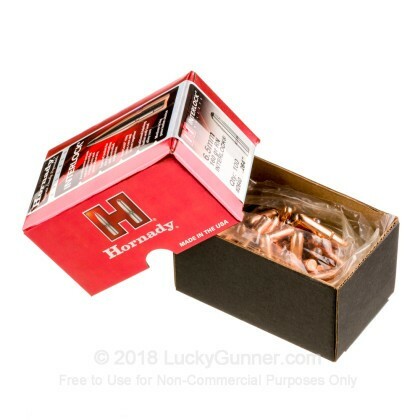 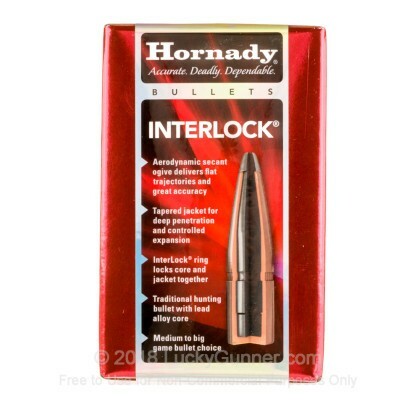 As a part of Hornady's InterLock line, these projectiles feature one-piece lead cores of incorruptible density that are wrapped in a copper jacket save for the exposed lead nose. 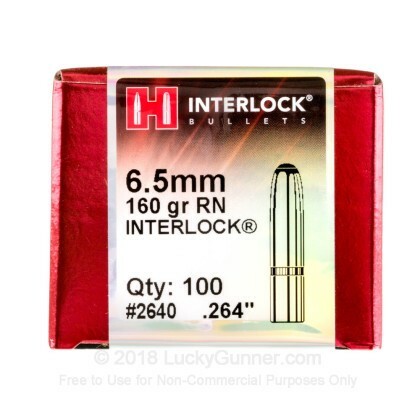 The design is intended to cause devastating expansion which is controlled by the bullets internal base-ring as well as by its toothed cannelure; this allows the round to penetrate appropriately before its expansion causes it to yaw and throw its energy into the most vital areas.